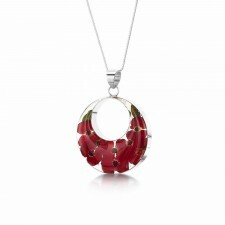 Looking for the perfect gift for a special occasion or to wear with almost any outfit? 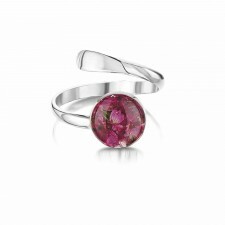 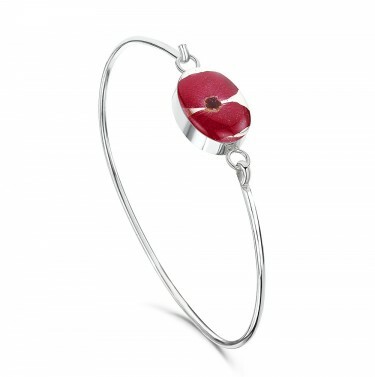 Look no further than this stunning sterling silver and real Poppy Oval bangle-style Bracelet. 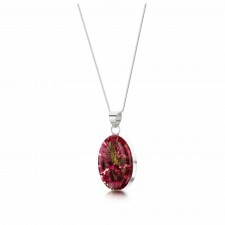 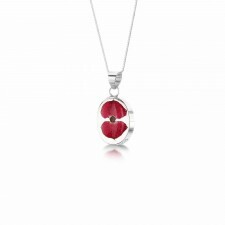 Handmade in the UK by Shrieking Violet the 'gem' is made of tiny poppy flowers which are coated with resin before polishing to make a beautiful 'gem'.